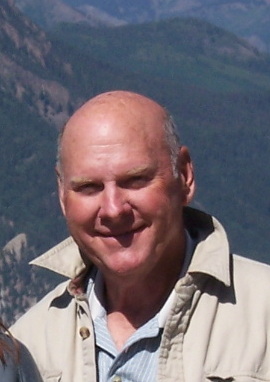 David L. Mundy, 74, of Birdseye, passed away Monday, August 13th at his home. David was born September 22, 1943 in Jasper to Ollie and Jenny (Waddle) Mundy. He married Peggy Frick on May 12, 1962. David was an Indiana Insurance Agent. He was an avid hunter who also enjoyed just watching wildlife. He loved spending his summers in the mountains of Colorado. He retired as a 4H shooting sports instructor after 14 years of service. David was a member of Dubois County Sportsman Club. David is survived by four sons, Bret (Toni) Mundy of Birdseye, Bart (Marla) Mundy of Dale, Brian (Vivian) Mundy of Holland and David Jr. Mundy and Fiancé’ Diane Wendholt of Jasper; four sisters, Carol (Danny) Mehringer of Jasper, Ann (Randy) Berg of Huntingburg, Pam (Mike) Schwenk of Jasper and Sandy Schwenk of Brownsberg; five grandchildren, Heather Allen, Keith Mundy, Kristofer Mundy, Whitney Griggs and Olivia Mundy; ten great-grandchildren. David was preceded in death by his former wife, Peggy Mundy on September 5, 2017. A funeral mass will be held Friday, August 17th at 10:00 AM in Sacred Heart Catholic Church in Schnellville.